At least eight persons were killed and several others injured in separate road crashes across the country on Sunday night and Monday. In Dhaka, three people, including two friends, were killed in separate road accidents in capital's Rupnagar and Banani areas. The deceased identified as Razzak, 46, his friend Zahidur Rahman Dudu, 42, met the tragic death in a road accident in front of Chatbari Water Development Board at Rupnagar at 10:30 on Sunday night when they were riding on a motorbike," according to Azizul Haque, Sub Inspector (SI) of Rupnagar Police Station. The two bodies have been recovered from the spot and sent to Shaheed Suhrawardy Medical College & Hospital (SSMCH) for autopsy. An unidentified youth, 27, was killed in a road accident in front of Army Stadium on Monday morning, Sub Inspector (SI) of Banani Police Station Md Shahin Alam told the media. He was declared dead at Dhaka Medical College and Hospital (DMCH) around 8:00am. The body has been kept in hospital's morgue. In Gazipur, a truck driver named Kamol Chandra Das, 30, was killed in a factory when another cement laden truck rammed him at Baridechala area under Sreepur upazila of Gazipur district. This incident took place around 1:00pm in DesignTrex on Monday. Kamol was the son of Biren Chandra Das of Rajpur area under Muktagachha Police Station of Mymensingh. Sreepur Police Station Sub-Inspector (SI) Siraj-ud-Daulah told the nwes media. In Brahmanbaria, a motorcyclist nammed Rakib Mia, 17, was killed in a road crash after losing the control of his bike in Brahmanbaria. Comotorcycle rider and two other children on the road were injured in the incident. The accident occurred at a regional road in Sadgamon area of Sadar upazila around 11:30 am on Monday. Rakib was the son of Shamsu Mia of Gokarnghat South Para. The injured were identified as Abdullah, 18. Monir, 3, and Habiba, 4. 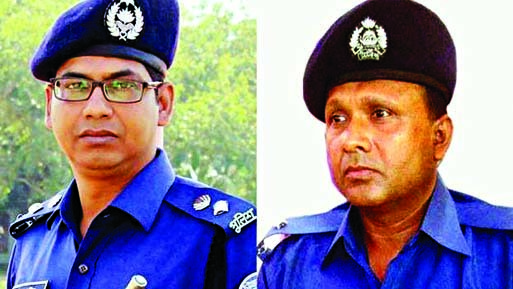 Officer in-charge (OC) of Brahmanbaria Sadar Police Station Selim Uddin confirmed the news to media. In Rajshahi, a tractor ran over a college teacher in Mohonpur upazila of Rajshahi on Monday. 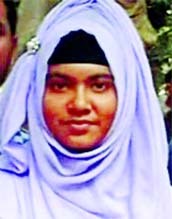 The deceased identified as Nuruzzaman, 50, was a teacher of Altafunnesa Govt College in Joypurhat. 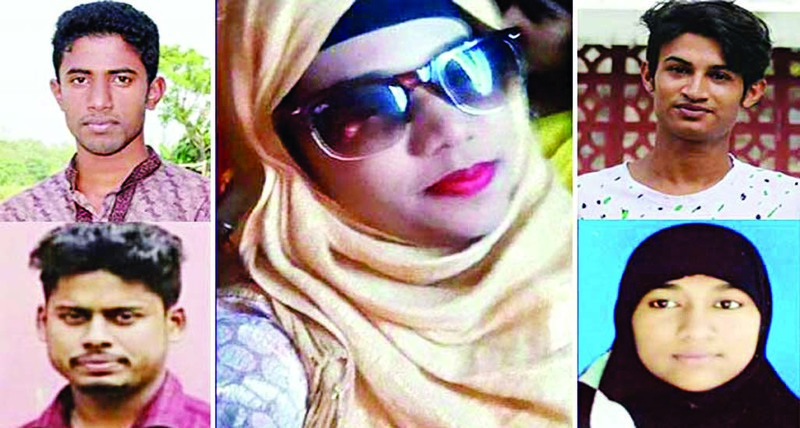 Police and witnesses said Nuruzzaman met the tragic dead while going to Rajshahi Education Board from Joypurhat at about 11:00am. In Sirajganj, a vegetable trader named Pankaj Debnath, 50, was killed in a road crash when a truck struck him on the street. The accident occurred around 10:00am on the Kadodar road of the Bangabandhu Bridge West Corner Road. The deceased was son of Burjobashi Debnath, a businessman of Deohata village under Mirzapur upazila of Tangail district. Sirajganj Fire Service Deputy Director Abdul Hamid told the news media. In Dinajpur, a man, named Pulak Chandra Das Manik, 30, was killed in a road accident at Chirirbandor of Dinajpur district. The accident took place on the Rangpur-Dinajpur highway on Sunday night at the Keribarbazar of the Karin Bridge of Chirirbandar. Manik was the the son of Bukul Chandra Das of Chuhamhani area of Syedpur upazila of neighboring Nilphamari district. Officer-in-Charge (OC) of Dashmile Highway Police Station GM Shamsur Noor confirmed this information to media.